This is our handmade floral hand soap! 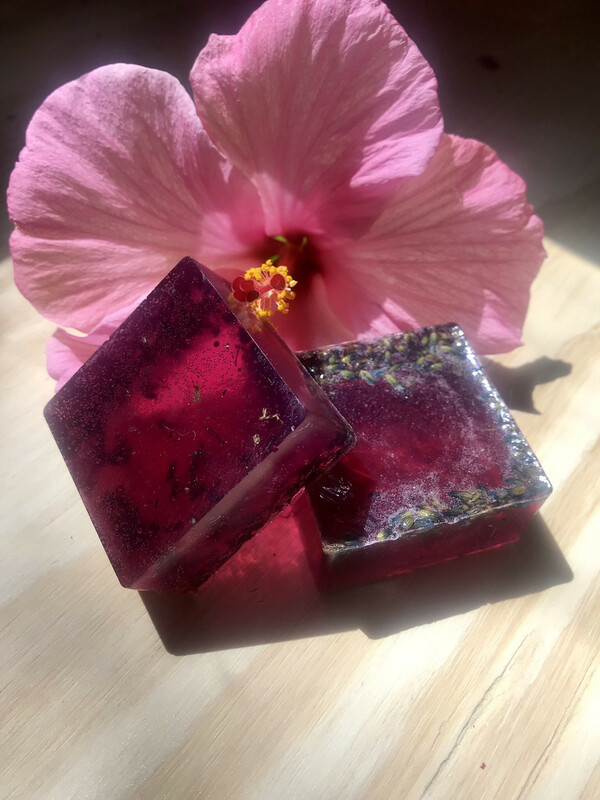 This luscious soap is blended with an olive oil base and infused with freesia & honeysuckle esssential oils and topped with fresh lavender. This soap is perfect for hands, face & body. It brings calm and relaxation as well as moisture for the skin. All of our products are made with love and contain the highest healing energies. Every product is infused with the unified field energies which are the highest vibrational energies on the planet.